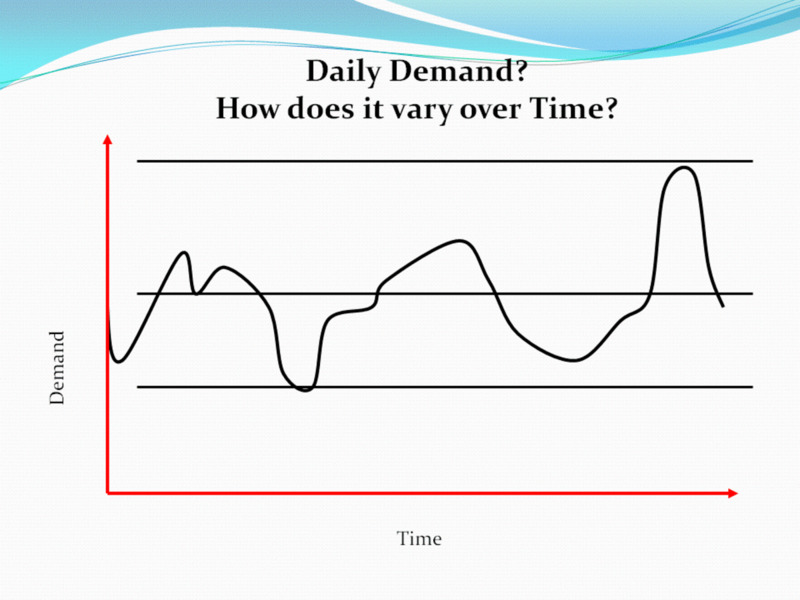 The history of Lean Manufacturing is important to understand if you want to learn about lean. Lean manufacturing is both a business improvement philosophy and a set of proven lean tools for implementing across the whole business, your production, office and management itself. The roots of lean go back many many years and the principles of lean have been proven over and over again. Understanding the history of lean manufacturing and why and how it has developed is important if you are to implement lean correctly. Only by understanding why individual tools were developed can you understand how to implement them correctly. Lean is about defining value, value as perceived by your customer; the specific features and services that they require. 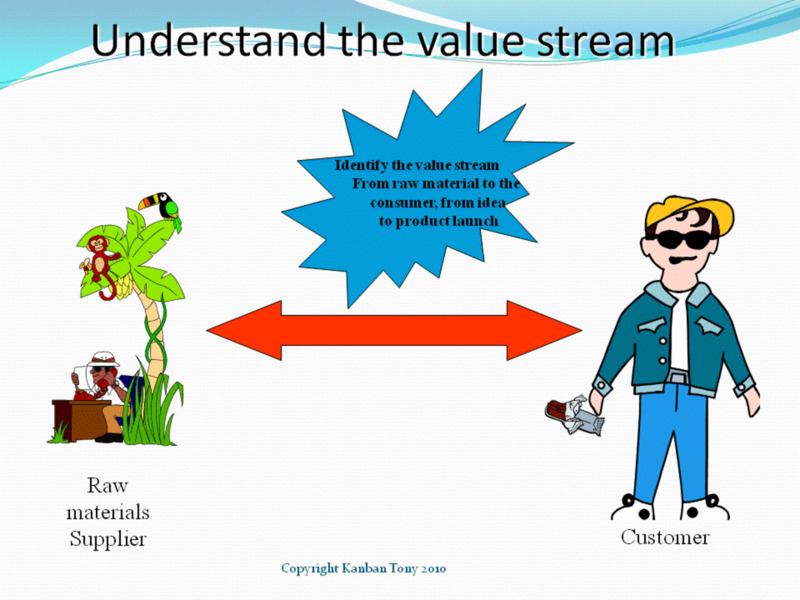 Lean is about making that value flow from raw material to the arms of the customer without being delayed of caught up in inventory. Product or Service is produced at the pull of the customer, not pushed through the organization whether the customer needs it or not. 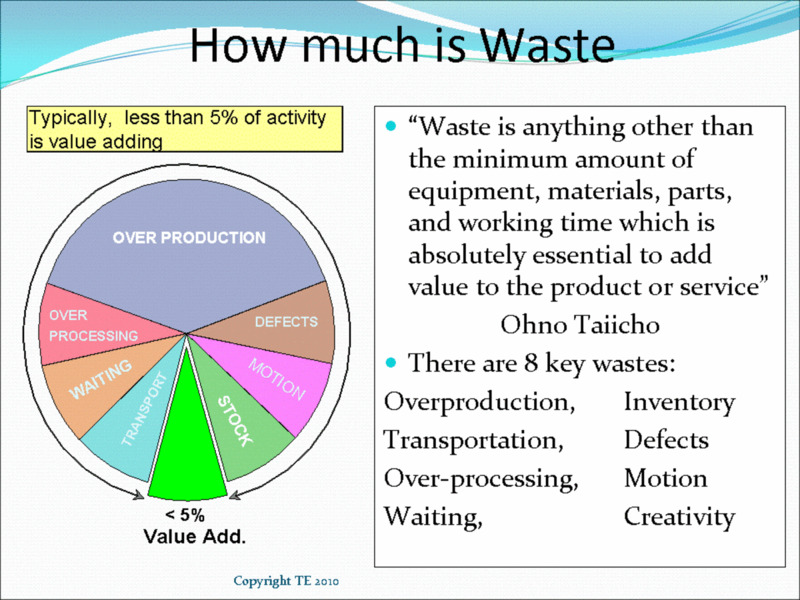 By making this value flow the organization works on waste prevention rather than reducing or eliminating waste. This hub will discuss the history of lean manufacturing to allow you to better understand how to use it. When learning how to implement lean manufacturing it is very helpful to understand how lean has developed over the years, the history and roots of the principles behind lean and why it has changed. You could look back at the work of Ford, Taylor, Gilbreth etc. with regard to how they sought to organize and de-skill the workforce to provide an efficient mass production system and say that this is where lean really began, but this was just the start. The problem with the approach at this time was that it was an approach that sought to separate the thinking management from the masses whose job it was to implement their instructions. The principles were sound but they focused very much only on efficiently and cost reduction. 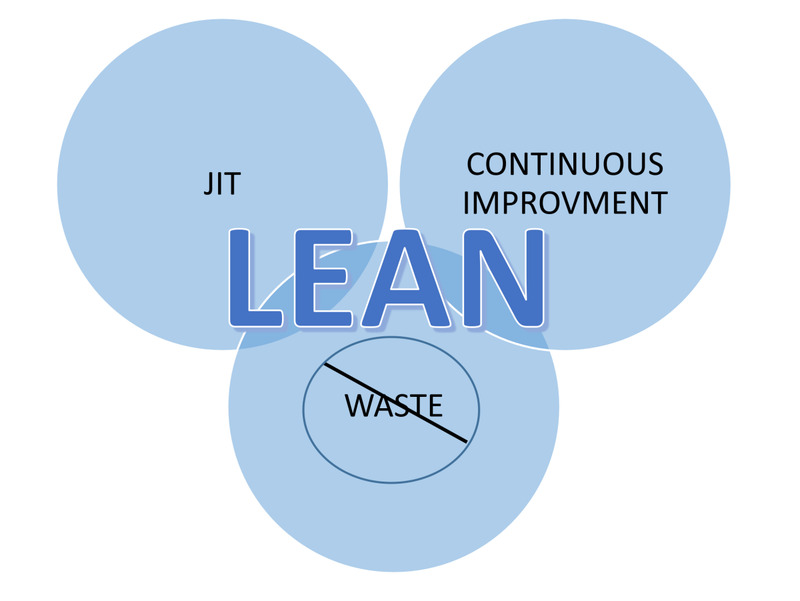 Many people implementing lean today have barely moved beyond this point and think that lean is all about waste reduction only. 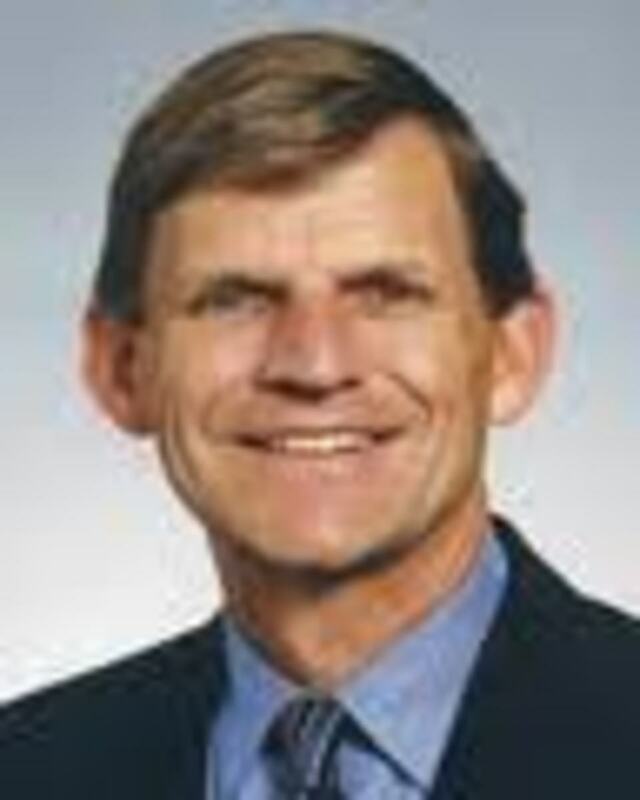 You can look at the works of Juran, Deming, and Shewhart with regards to quality: how they sought to measure and analyze performance and introduce the ideas of using the entire work force in quality improvement. This is a major part of lean. 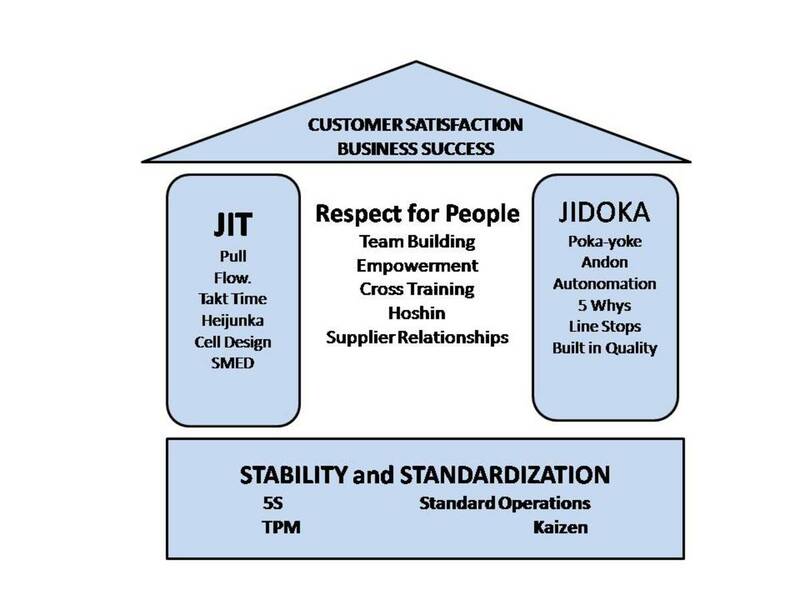 Their ideas about continual improvement and involving the entire workforce are an integral part of lean and something that Japanese companies such as Toyota fully implemented after WWII. Without this respect for the workforce and involving them in improving every aspect of your business, lean would not function as it does. 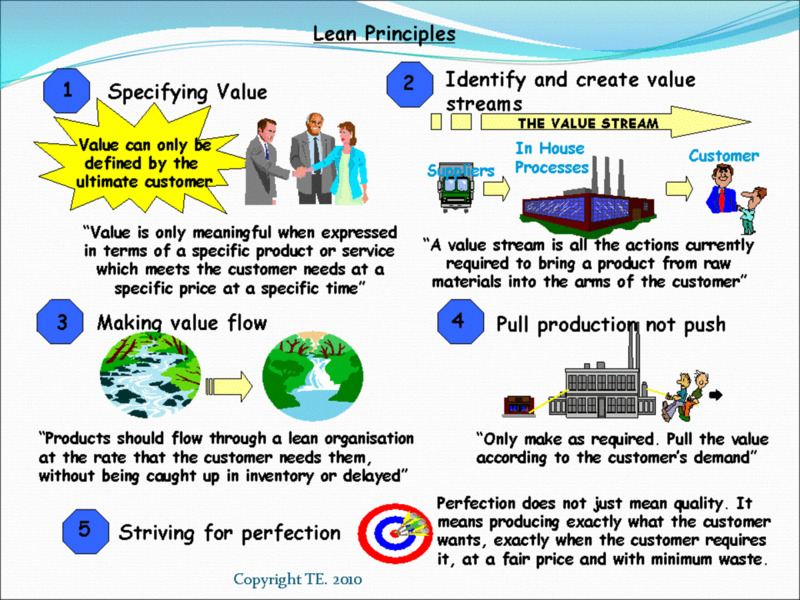 Lean as we see it today is very much based on the Toyota Production system (TPS). The study that was conducted by MIT on the superiority of Toyota as a car manufacturer is where the term "Lean Manufacturing" was termed and produced the book "The Machine That Changed The World." This study was the first that really started to explain how the Japanese manufacturer was able to outperform its American rivals and steal a huge amount their market share within the US. This study identified the main lean principles that underpin the Toyota Production System as well as the full involvement of every employee and the whole supply chain. Much of what started the Toyota Production System was not new. They based their original system very much around what Henry Ford designed for Ford in the US and added many of the ideas that they were given by the experts such as Deming that were sent to help them after world war II. There are many anecdotal stories of visiting experts from the US asking where the ideas for the Toyota Production system have come from being handed copies of the original Ford production manuals. Whether any of these stories are true is open to debate but you can clearly see the Ford influence in many of the tools such as CANDO becoming 5S. Toyota's journey towards lean began before they even manufactured cars. The Toyoda family were originally in the textile business. They invented a loom that would stop if the thread broke, thus reducing the rejects being produced and allowing a single operator to monitor several machines on an exception basis rather than having to have an operator on every machine. It is said that the sale of the patent for this invention is what provided the cash for the Toyoda family to move into the Automotive industry. This is also the start of what they call Jidoka or giving machines intelligence; another major part of the Toyota production system. Lean is a whole raft of ideas and tools that have been adopted and adapted with the aim of helping Toyota to dominate the automotive industry. Toyota started with an aim of not being as good as the American industry but an aim to be far superior. An aim which they have achieved in a very short space of time. Toyota had to manufacture in a manner very different to the west due to a shortage of resources, they could not afford to make anything the customer did not want, they could not afford to build something long before the customer wanted it, thus Just In Time (JIT) was born (re-born?) within Toyota. Just In Time being the principle of producing what the customer wants, where they want it and when the customer wants it. They gained the ideas for JIT from of all places a visit to an American Supermarket where the shelves were only restocked as the customers removed the goods that they actually wanted. To achieve this JIT production they had to overcome many obstacles, inventory was a major issue, batches had to be reduced in size, set-up times had to be reduced to enable this requiring reduction techniques such as Single Minute Exchange of Die (SMED). Thus each of the lean manufacturing tools was created or adapted from previously available tools to tackle specific issues that Toyota encountered. People were seen as one of the biggest resources within the company so they were encouraged (required) to participate in business improvement, through quality circles and Kaizen initiatives. It was not just a handful of individual engineers that were working on improving Toyota and solving problems, it was everyone. So progress was made step by step, many hundreds of small steps that allowed Toyota to pull far ahead of the competition. 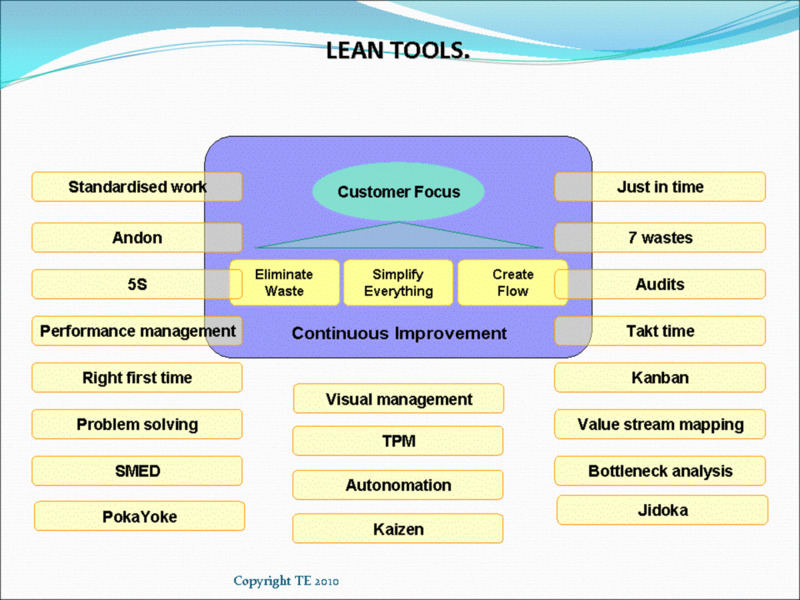 In the 1980s companies in the West began to try to adapt and define the tools used by Toyota, and Lean was born from the Toyota Production System (TPS). Lean is still evolving and developing. Even Toyota only sees itself as being a short way into the lean journey. In truth the history of lean manufacturing is just beginning, it is constantly changing and developing as new challenges hit our companies. 1810: Maudsley and Marc Brunel (Father of Isambard Brunel, famous engineer) introduce production line to produce pulleys for the UK Royal Navy, producing 160,000 pulleys per year with 10 men. Sorry Mr.Ford you were not the first! 1896: Publication of Vilfredo Pareto law of Economic distribution, Pareto 80:20 Rule, 80% of the wealth owned by 20% of the population – study based in UK not Italy as many believe! Pareto rule used frequently in analysis, 80% of turnover from 20% of your products etc. 1909: Motion studies begun by Frank and Lillian Gilbreth, observation of bricklaying – why do the laborers have to lift heavy blocks from ground level – wasting time as well as stress to laborer. 1931: “Economic Control of Quality of Manufactured Product” by Walter Shewhart becomes first book on SPC (Statistical Process Control) and the PDCA cycle (Plan, Do, Check, Act). 1936: The word “Automation” first used by Engineer at General Motors. 1944: Boeing plant 2 and Ford Willow Run have flow production lines for Bombers. 1948: Deming sent to Japan to lecture on waste as main source of quality problems. 1951: Deming Award established in Japan, still the highest manufacturing award to gain. 1966: Juran brings concept of Quality Circles to Europe. 1986: “The Race ” by Goldratt and Fox published. 2020? Toyota Produces first "next day" car to order! Lean manufacturing has seen many ups and downs over the decades and has been hit badly like many other business improvement philosophies as being a fad. But lean is far from a fad and is as applicable today as it has ever been if not more so. Some have introduced other systems that use similar ideas and techniques such as six sigma but nearly all quality and business improvement techniques can trace back their roots wither directly to lean or to the same sources that have developed lean. Lean has evolved to encompass every type of business area no longer only being lean manufacturing, we now see lean for service, and lean healthcare to name just a few. Now ideas have also been spawned by the various consultants out there selling business improvement. So we now see Lean Sigma or Lean Six Sigma which seeks to combine the "simplicity" and common-sense approach of lean with the more rigorous analysis of six sigma. We also see "new" ideas such as "Agile" being used, but these are still lean being re-branded to get over a poor image and to continue to sell into different industries. Lean still has a future, as it is the philosophy that counts not just the individual tools. No matter what advances we make we still have to value our employees and create a business that seeks to satisfy our customers by supplying them what they want, where they want it, when they want it, while using the minimum amount of resources. This is a simple stratightforward explanation of LEAN in use and its history. Thanks. Lean does not dictate anything about advertising, but yes lean principles would suggest that you find ways to minimize the spend on advertising while increasing the return. The ideal of course would be in being able to pinpoint exactly who needs your product or service at the precise moment that they need it. cheetah, I just came across your post about Lean. Lean would dictate that of course you have to incurr advertising and promotional costs however, lean means reducing those costs and increasing the effectivness of your advertising and promotions until you reach perfection which will never happen but you keep trying and continue to get better and better forever. It is a lot more than that cheetah.. Lean is about defining and providing value, flow, team working, continual improvement and so much more. You could say that advertising and promotional costs add no value but you have to look beyond the product itself and look at the consumers decision making process as part of the value stream, how do they decide which product to use and how do you help them to make that decision. as you told lean manufacturing is just bringing the raw material in to hands of customers without delay.. it means you dont want to incurr advertising and promotional costs.. is this true..? Wow! That's a lot of interesting history on Lean manufacturing. I really like the 2010 and 2020 advances! Techberth, thank you for your grand and all encompassing comments regarding the history of lean manufacturing, you are most welcome.